Lake Livingston (KETK) — An East Texas angler was in for a surprise when he hooked a huge paddlefish below the Lake Livingston dam. Sam Brown said he accidently caught the fish when he was trying to hook catfish. Immediately following a quick picture, the fish was released back into the water. No other information surrounding the description of the fish was released. According to the East Texas Woods and Waters Foundation, paddlefish are a state threatened fish and native to East Texas rivers; although, largely have been extirpated by reservoir dam construction and over fishing, except for the remnants of stocking efforts 14- to 16-years ago. While paddlefish populations are commercially fished for meat, they are mainly harvested for their roe (egg mass) to be used as caviar. 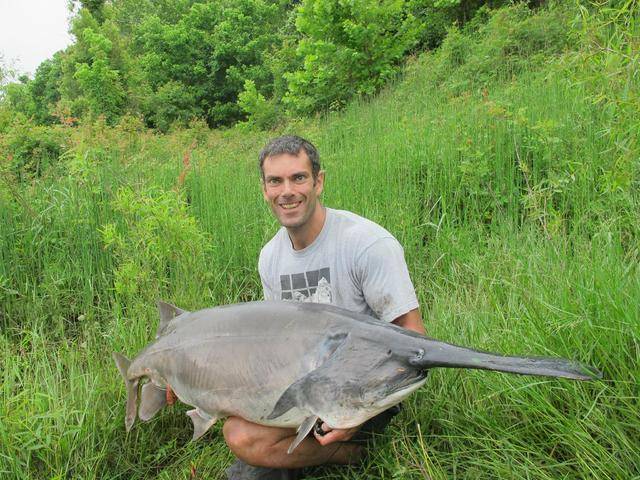 If caught, paddlefish must be released alive.